200 metres long x 1 metre wide. Supplied on a roll 650ft long so you can cut to your size and avoid waste. 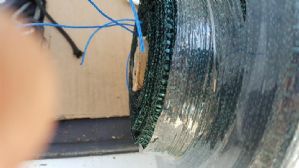 only wire netting will do that regardless of what other sellers may tell you !! !